EWG scientists reviewed LISTERINE Antiseptic Mouthwash (old formulation) for safety according to the methodology outlined in our Skin Deep Cosmetics Database. We assess the ingredients listed on the labels of personal care products based on data in toxicity and regulatory databases, government and health agency assessments and the open scientific literature. 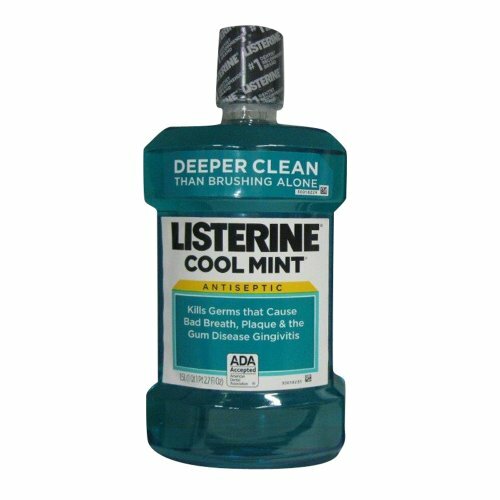 EWG's rating for LISTERINE Antiseptic Mouthwash (old formulation) is 4. To open: squeeze smooth areas on cap and turn. To close: turn cap until it locks. Rinse full strength for 30 seconds with 20 ml (2/3 fluid ounce or 4 teaspoonfuls) morning and night Do not swallow.Other Information: Store at room temperature. Cold weather may cloud this product. Its antiseptic properties are not affected. WarningsDo not use in children under 12 years of age. Keep out of reach of children. If more than used for rinsing is accidentally swallowed, get medical help or contact a Poison Control Center right away..